This page may contain compensated links. For more information read our disclaimer. 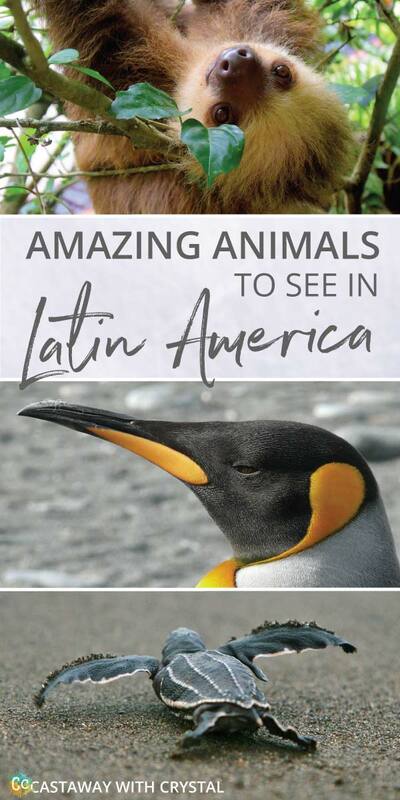 What cool animals can you see in Central and South America? Latin America is one of my favourite places in the world. And there are some REALLY cool animals in Latin America! It’s not just llamas and monkeys, there’s so much more. 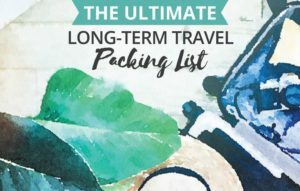 Patagonia is so close to Antartica that it’s the cheapest and easiest way to get to this uncharted territory. 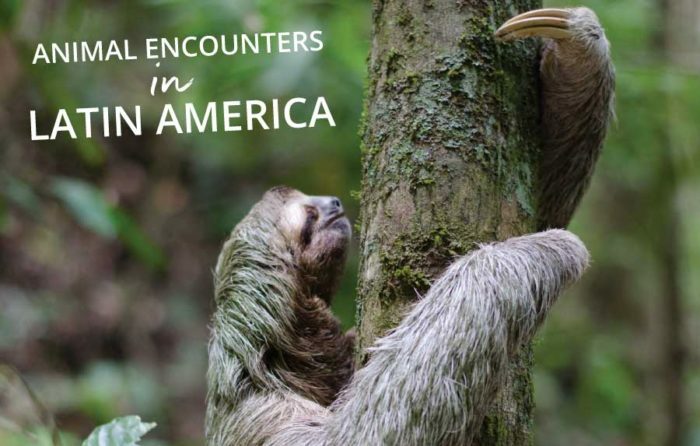 The Amazon that runs through Brazil, Colombia, Bolivia, Peru and many other South American countries and boasts some of the most wonderful and strange wildlife you’ll ever encounter! Think piranhas, sloths and pink river dolphins. 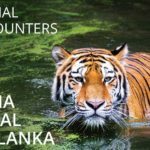 Here are a variety of awesome animal encounters that some of my favourite bloggers have had in Latin America. Without going to a Zoo! 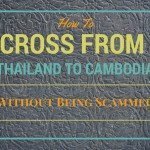 Including tips on how you might be able to have the same experience yourself. Patagonia has many special memories for me. However, for someone who loves penguins, an encounter in the wild with King Penguins was one of my highlights. There’s something about their clumsiness on land that I love. And I know I’m not alone. Walking from the little hut towards the colony I can vividly remember the feeling when I first saw them. For me seeing animals and birds in the wild is the best experience. My excitement levels have just increased but I know I need to keep as quiet as possible. Not a hard thing I can tell you! The first group of penguins were all huddled together. There were over 50, I couldn’t believe my eyes, I never expected to see that many. The male penguins were busy incubating the eggs and you could see the eggs balancing on their feet. It was amazing. After seeing so many I didn’t think it could get any better. But down on the beach, the penguins seemed to be putting on a real show. Walking around (in the amusing way that penguins do), lying on their tummies and some were play fighting. After an hour it was time to leave. I honestly could have stayed there all day watching them. It was truly a memorable experience. 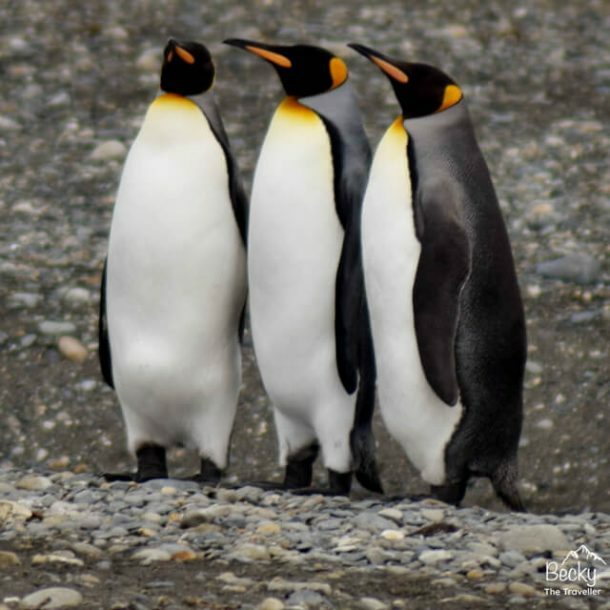 The King Penguin Park is open from Monday to Sunday 10:00 to 19:00 (with the last group entry at 1730). Price for the general public is $12.000 CLP. 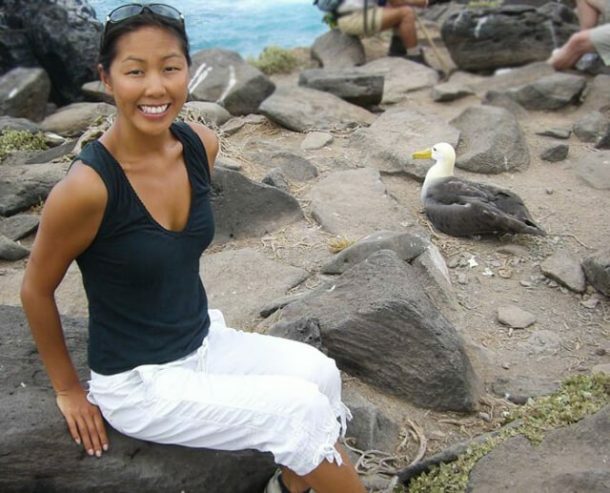 Ever since I was a little girl, I loved animals and always wanted to explore the unique and diverse array of wildlife that can be found on the Galapagos islands. 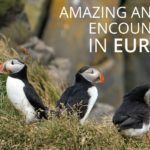 This archipelago is home to a unique and diverse ecosystem that is a designated Unesco World Heritage Site, with an array of animals species that are found nowhere else on the planet. Now normally I am not a huge bird person since they are loud and poop a lot, but I absolutely fell in love with the bird colonies on the Northern edge of Seymour. 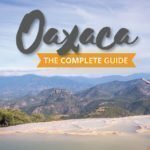 I recommend taking a day trip here from Puerto Ayora so that you can walk among the Blue-footed Boobies, Frigatebirds, Swallow-tailed Gulls, Yellow-crowned Night, and Herons. Yes, the island is rather craggy and difficult to walk around, but once you’re there it’s so worth it. Not only are you among some of the most uniquely beautiful birds in the world, but many of the species will let you come up next to them since they are in a protected area and really have no fear a people. 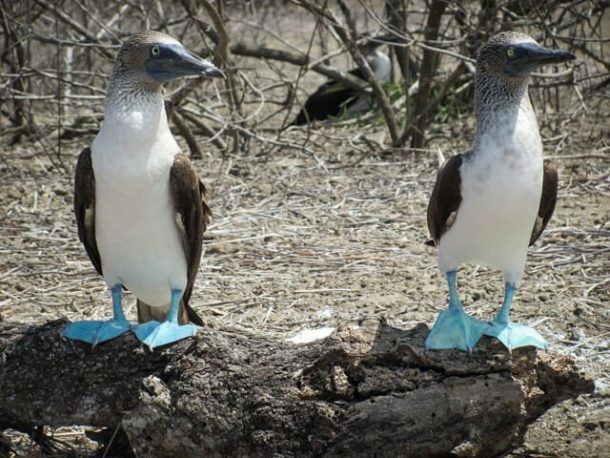 So just sit there and watch the blue-footed boobies dance and the Frigate birds puff up their bright red chests to attract a mate. Just watch out for a rogue marine iguana or two since they spit at people as a form of protection against predators (it also helps them extract salt from the water they drink). Puerto Ayora is the port of call for any boats traveling to or from any of the other islands in this archipelago. 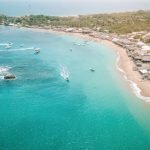 So take advantage of this port and explore islands like San Cristobal, Baltra (a rocky crag that is great for bird watching), Santa Cruz, Isabella, Floreana, Bartolome, etc. CAUTION: The boat ride from Puerto Ayora to the other Galapagos Islands can take several hours each way. Therefore, if you get seasick, make sure you take something before you leave dry land. 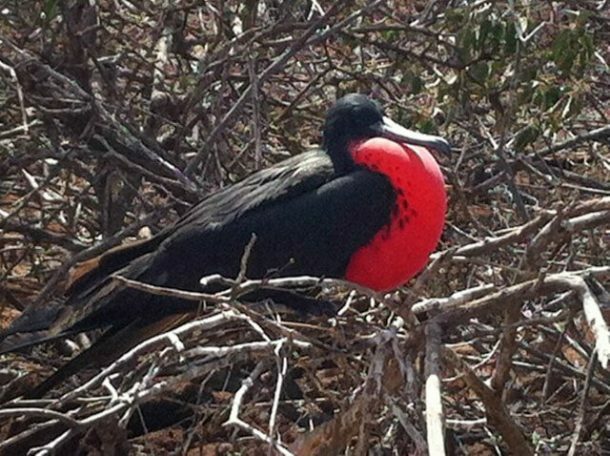 On the wild and wonderful Galapagos Islands, visitors are spoilt for choice with animal encounters of the up close and personal kind. There are no predators on the remote volcanic archipelago and naively think humans pose no threat. Here’s where you can play with seals underwater, navigate a beach filled with sunning iguanas, get in amongst the blue-footed boobies who guard their little nests and befriend giant tortoises that vary slightly from island to island, igniting Charles Darwin’s observation and groundbreaking theory of Evolution. When I was a young, hopeless little girl, daughter of a migrant family, trapped in the insufferable suburbs of Sydney, the National Geographic documentaries was life-changing, where I’d escape to a world of inspirational landscapes and exotic species. One such documentary narrated by David Attenborough followed the life of a flock of Waved Albatross, and it was love at first sight. I could hardly contain myself when I landed on Española Island in the Galapagos to witness these majestic, yellow-billed birds. I could watch for days at the intricate courtship ritual, Waved Albatrosses perform with each other to find a soul mate that involves beak nuzzling, low throaty gurgles and fanning out their giant wings that span 2.5 metres. Once they decide on a partner, it’s for life and every year they would find each other on the island to rekindle their romance with a dance and raise their young together. There are many organized island hopping liveaboard cruises around Galapagos Island that make Española Island a stop. The best time to see the Waved Albatross is between March and January, just about the majority of the world population of Waved Albatross breeds here. Suriname is a bit off the beaten path for most travellers but it is definitely worth a visit for its biodiversity. 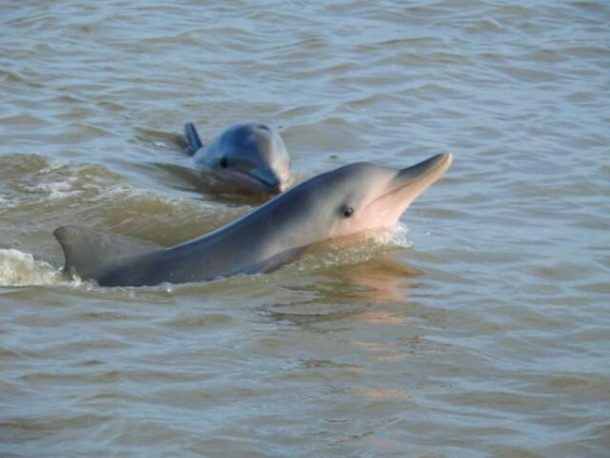 It is known as Earth’s greenest treasure as approximately 94% of Suriname is covered by dense tropical rainforest with numerous species of exotic animals and the water surrounding Suriname is a haven for pink dolphins and sea turtles. The Dolphins have a pink underside and are very curious so they come close to the boat and jump out of the water. We spent two hours in a traditional boat on the water just before sunset watching the dolphins swim in the river. They like to play games and will stay just below the water level with their eye above water so they can see you and see what you are doing. 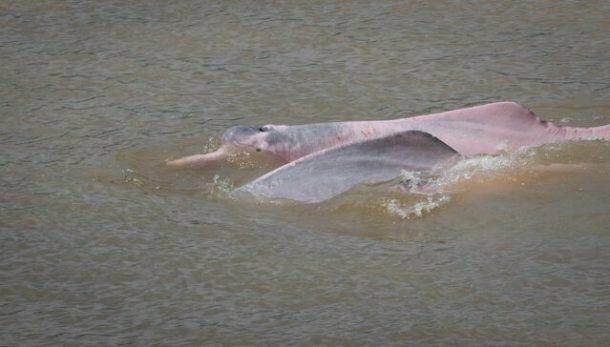 There are many tour operators that do this sort of tour, but I went with Celestial Tours in Paramaribo on a cruise of the Suriname River to the to see these dolphins. We were visiting Orinoco Delta in Venezuelan jungle and encountered wildlife we only dreamt about. Macaws, howler monkeys, pink dolphins and toucans were daily occurrences. One particular encounter stands out and still gives me goosebumps thinking about it. 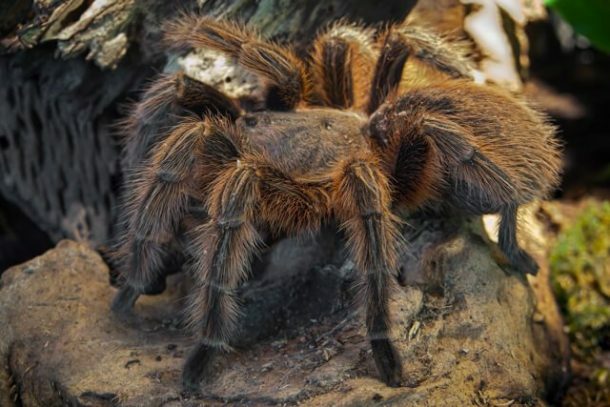 Would you dare to have a tarantula on your hand? Or maybe on your head. Local kids showed us it’s not a big deal. You gently grab the spider, put it on your head and wait until it runs all over you and finds the ground. I couldn’t believe how comfortable they were having a tarantula on their heads. Fear of spiders is something I couldn’t go beyond that day. But as I was so close and held a stick with a tarantula on it, I might even just hold it for real next time I’m in the jungle. 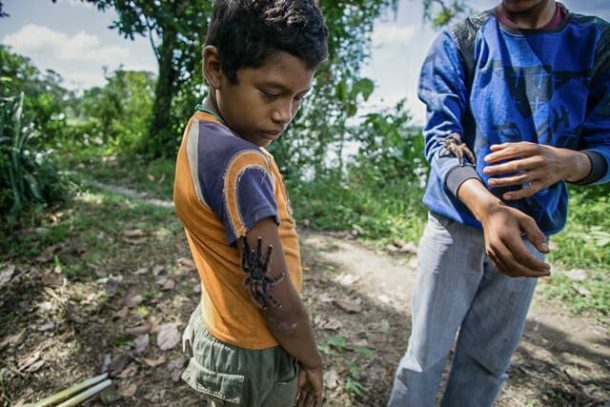 Whether you want to play with tarantulas or not, Venezuelan jungle is a great place to be. And the best part? There was no need to pay for a wildlife watching tour. We simply visited a place inhabited by few people and wandered around the channels of Orinoco River with eyes wide open. Visiting Orinoco River Delta in Venezuela is usually a 3 day trip to the jungle. 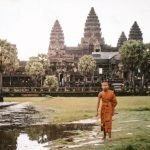 It includes staying in huts on stilts on the river, boating around the channels and seeing macaws, toucans, monkeys, pink dolphins and visiting a village to see how Warao Indians live. Penguins? In Argentina? Yeah, we didn’t expect that either. 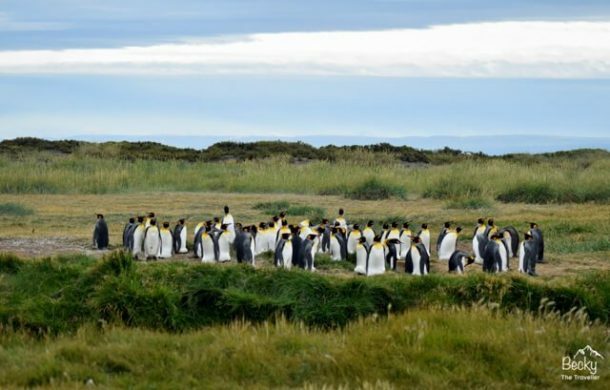 And yet, here, in the land of wine, pampas and gauchos you will find the largest penguin colony outside of Antarctica. 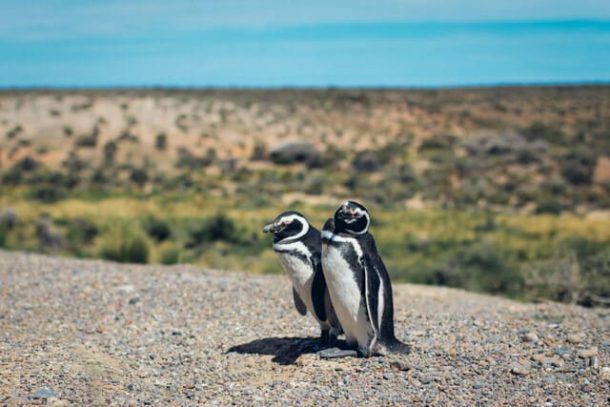 Located around three hours south of Puerto Madryn, this nature reserve is home to over 1.2 million penguins who return every spring to mate. 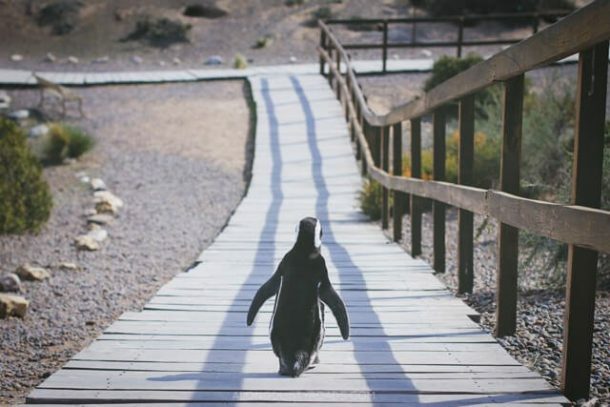 Protected since 1979, this is an incredible place to see penguins in their natural environment, whilst still being able to get incredibly close (you must stick to paths through – Punta Tombo still belongs to the penguins!). Spend your time spotting couples canoodling under the bushes, lines of males waddling to and from their afternoon dip in the ocean or simply marvel at the sheer number of birds in one place. Undoubtedly, a once in a lifetime experience! 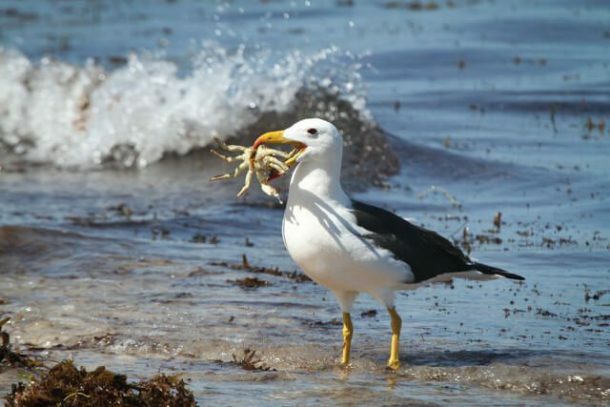 You can do a tour from Puerto Madryn, which includes Punta Tombo, as well as a few other nature sites in the area. This will cost around about $800 Argentine Pesos per person ($40 USD). This price includes a guide, but you have to take/buy your own lunch as well as pay an entrance fee of $180 pesos. 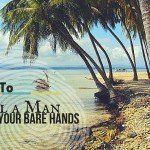 A couple years ago I lived on a deserted island in Costa Rica to volunteer for a sea turtle project called La Tortuga Feliz. The island called Tortuguero literally means ‘Land of Turtles’ and in fact is a long sandbar island separated by the mainland of Costa Rica by the Tortuguero River on one side and the Caribbean Sea on the other side. There are only a handful of locals living here and about 15-30 volunteers to help these endangered sea creatures. 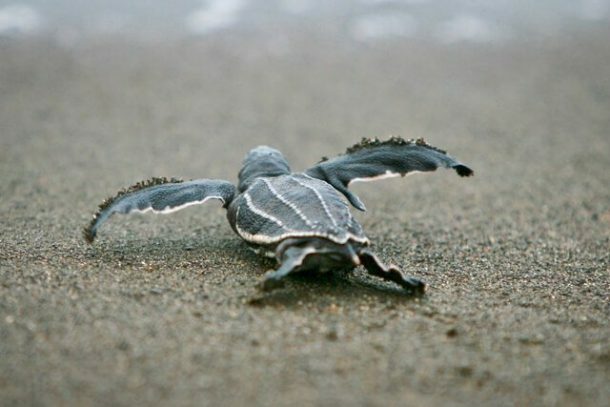 Tortuguero Beach is a very popular place for different species of sea turtles to come and lay their eggs. What volunteers of La Tortuga Feliz do is to patrol the beach at night looking for big sea turtles coming up to the beach to lay their eggs. The eggs will then be collected and brought to a hatchery were all nest are monitored and protected 24 hours a day. This way about 80% of the eggs will hatch (only 20% in nature). The babies will be released into the ocean within 10 minutes after hatching. Volunteering for this project is one of the most amazing things to do in the world. 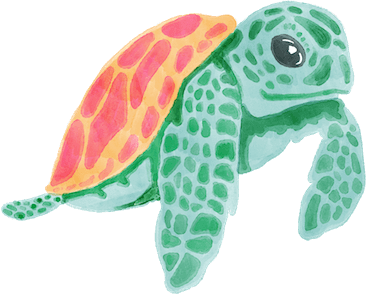 The remote location, the vibe among all the volunteers and the whole process of collecting eggs from massive sea turtles to seeing babies hatch and releasing them into the ocean created many lifetime memories. 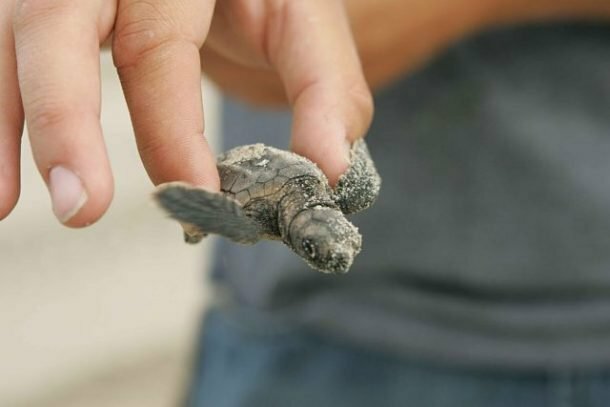 You can stay and volunteer your time at La Tortuga Feliz. For $25 USD a day and a one-off $40USD contribution towards transport costs you can stay a minimum of 7 Nights on the Island and donate your time towards the conversation project. Click here for more information. We were just heading back to the rental home in Punta Uva in Costa Rica when we saw people stopped in the middle of the road. Well, we had to check it out. 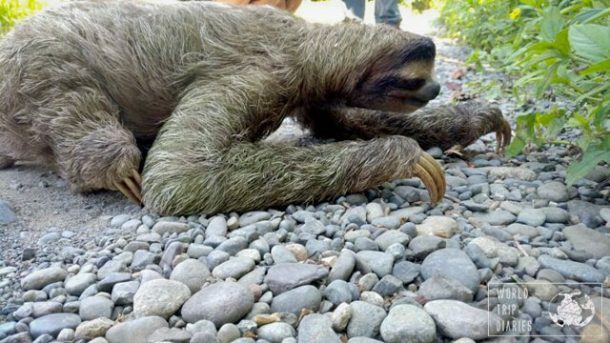 To our surprise, it was a sloth, slowly and carefully crossing the road. I hadn’t expected to find sloths there but hey, they were around – and there were quite a few there. We saw them wherever there were trees, but this one, this one crossing the road… that was just so close! We’d never seen one so near us. It crawled a bit, stopped, looked around, moved a bit more, stopped again, looked again. It must’ve been terrified, but we were actually protecting it from the cars there. After around 20 minutes, it finally reached the other side of the road and we left it to do its own thing. By the way, we saw more wild animals in Costa Rica than anywhere else in the world! 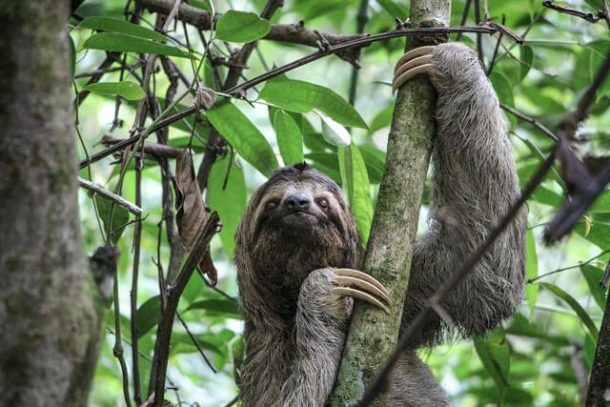 Further up the road in Puerto Limón, you can visit the Cahuita Sloth and Wildlife Sanctuary. One of the most incredible animal experiences I’ve ever had was while we were traveling in the Caribbean coast of Costa Rica near the Panamanian border. We’d just spent a week exploring the area and visiting the Jaguar Rescue Centre, a rescue and rehabilitation place that helps a variety of injured or orphaned native animal species. 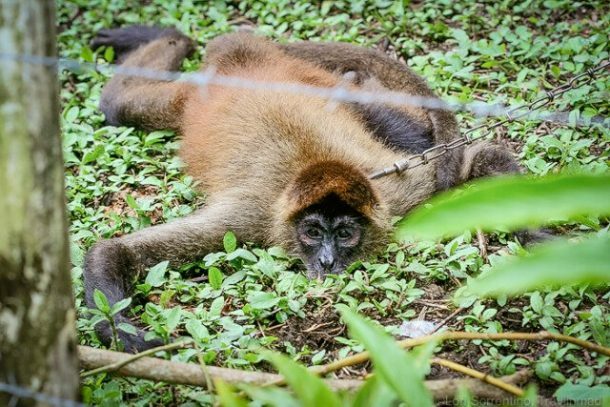 On our way to the airport, we stopped in a rural part of the coast to take some scenic photos and discovered a spider monkey with a chain around its neck tethered to a tree in the yard of a small house nearby. We wouldn’t have even seen it if it hadn’t come running over to me, but as it reached the end of the tether it was yanked back, flipping onto its belly. The poor thing just laid there as if pleading with me for its release. We felt so helpless. With no cell reception around us, all we could do was snap some pics and email them to the Rescue Centre with the GPS location coordinates when we got home. 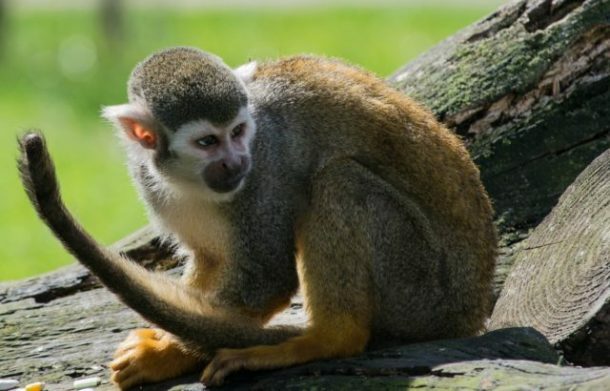 After several weeks of waiting, I finally received an email back that the monkey had been rescued – but the happy ending was just the beginning of an amazing reunion story too! It just goes to show that we really can make a difference. The Jaguar Rescue Center is open for tours, including private tours and volunteer opportunities, and will be a highlight of your trip to Costa Rica’s Caribbean. They offer daily public tours Monday through to Saturday for $20.00 1.5 hours for $20 USD (children under 10 are free) or for a more personal experience with the animals they offer Private tours Monday through to Saturday for $60 pp (minimum 2 people/children under 10 are free). 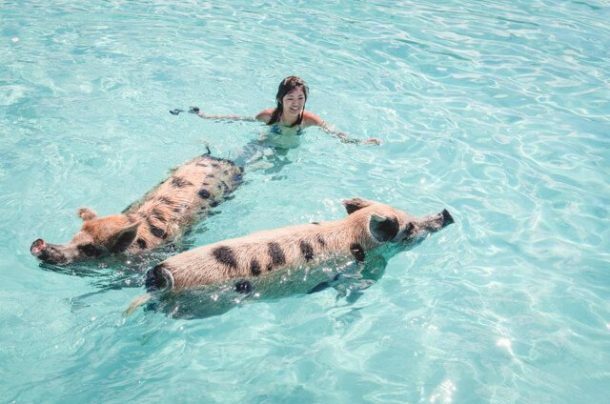 Visiting the Swimming Pigs in the Bahamas was definitely the coolest animal encounter I’ve ever had. 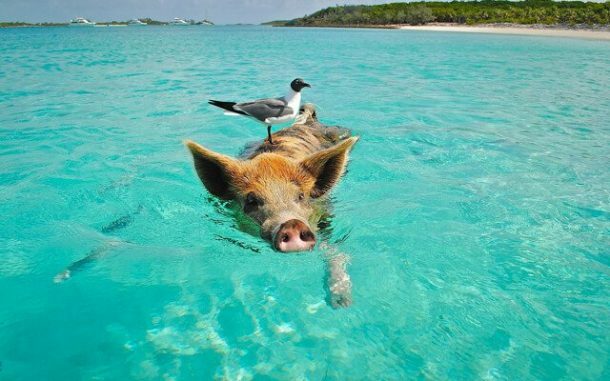 The best part is the pigs are not in captivity, they roam freely on a little island uninhabited by humans. We took the tour and completely enjoyed the experience because it included so much more than just seeing the pigs. The pigs are super friendly and love treats so bring some fresh veggies to feed them with and they’ll be more than happy to pose for a photo op. You can take a tour from Exuma Bahamas or if you are staying on Staniel Cay you can rent your own little boat to see them. 2 years ago, we were on a cruise with Celebrity Silhouette. One of the ports of call was Cayman Island. This destination was high on my list because I heard so much about the stingrays. As we arrived we booked a boat to bring us to the barrier reef that surrounds Cayman Island. About 30 minutes later we stopped at a large sandbar in the middle of the ocean and we jumped out of the boat. 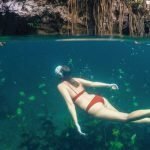 The crystal-clear water is only 3 to 6 feet deep over here. Only seconds later the first stingray touched my leg. They are extremely friendly and used to humans. You can even try to hold or kiss one of them. Do you want to know why these stingrays are over here? In former days the fisherman came back to the island. When they had to clean the fish on the island, there were lots of flies. That’s why they stopped on these sandbanks to clean the fish and throw the intestines overboard. The stingrays got used to this and stayed over there because they knew there was plenty of food for them. 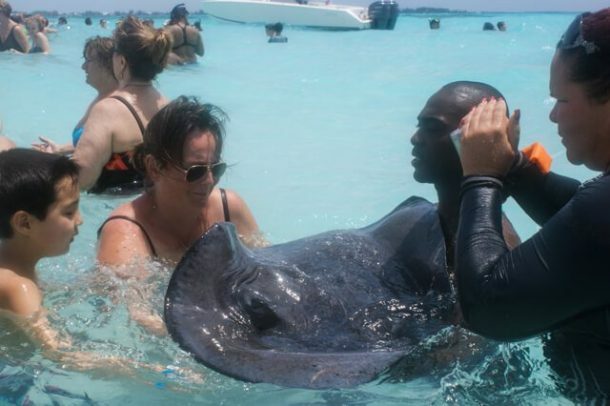 The stingrays can be found in the harbour of Cayman Island. For those who like diving, you can go to a sandbank where the water is around 10 feet deep. 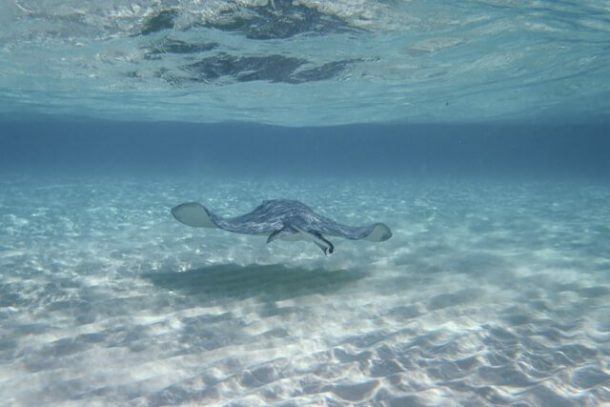 Here you can dive (or snorkel) with stingrays and other fish. I thought I was courageous conquering my fear of heights on a zip line through the rainforest or leaping from a subterranean waterfall into an underground river in Belize. Nothing prepared me for the shot of adrenaline watching my son dive off the side of a boat, into waters teeming with sharks. 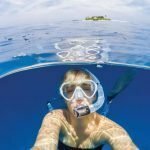 Before I could even get my mask on or adjust my fins, my 10-year old was in the water, following our guide through one of the most amazing animal encounters I’ve ever experienced. 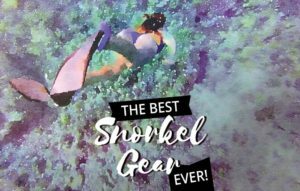 READ: The Best Snorkel Set to Take Travelling! 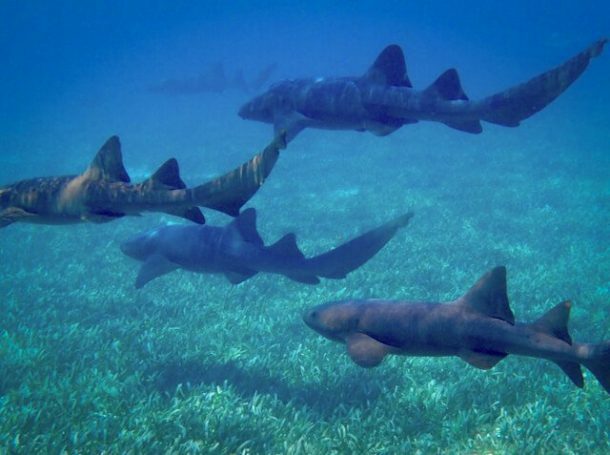 The sharks in question were nurse sharks, far more interested in languidly gliding through the water than paying any attention to a few newcomers. These 10-foot long beauties swam in groups of five or six, occasionally nestling into the soft white sand at the bottom for a break or to let the sea turtles pass. 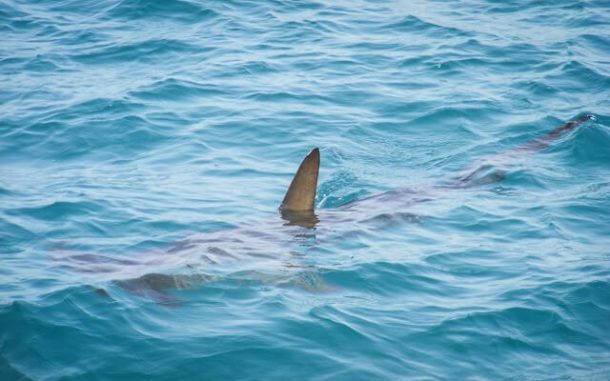 If you’re still and quiet in the water (not excitedly gesturing to your fellow swimmers), the sharks glide within a few feet of your position before changing course with a little flick of their fins. I don’t think I’ve ever seen anything so graceful as a school of sharks meandering their way through the reef with the current. Placencia is a laid-back beach town with Dive Shops aplenty. One dive shop owner booked us for Silk Caye, a picturesque island large enough for three picnic tables, the most scenic outhouse I’ve ever encountered, a few pelicans, sharks and turtles. 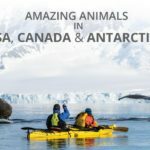 This is a series where I feature amazing animal encounters from all over the world! If you liked this post and want to see more, please follow my Facebook Page to be notified when I post the next one! 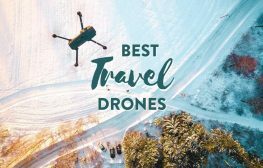 This post was a collaboration put together by some of my favourite bloggers, if you want to know more about them, click on the link under their section! Passionate baby goat cuddler and part-time adventurer, Crystal can often be found doing headstands on the edges of cliffs, taking photos of abandoned buildings or sleeping on deserted islands with dangerous criminals. 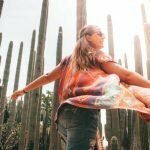 She has too many awesome stories and helpful tips to keep them all to herself so follow along and in return she will bring you inspiring pictures, travel videos and a whole load of fun! I would love to see a sloth, would be hard not to give it a hug. I’m Crystal! You can find me doing headstands on the edges of cliffs, chasing down baby goats or perched in a weird position trying to get the best photo. 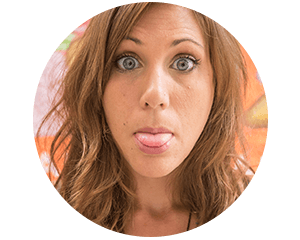 I’m addicted to getting the most out of life and would love to take you along for the ride. 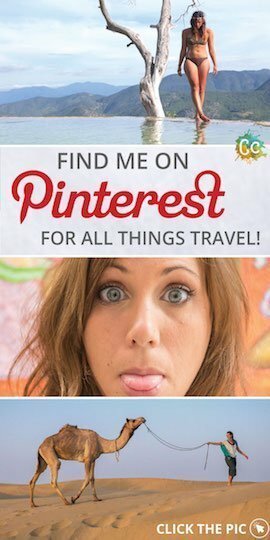 Follow me for adventures, tips and a travel show! 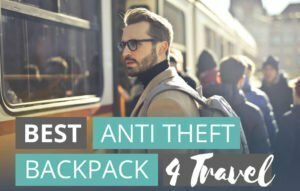 CLAIM YOUR AIRBNB CREDIT HERE! 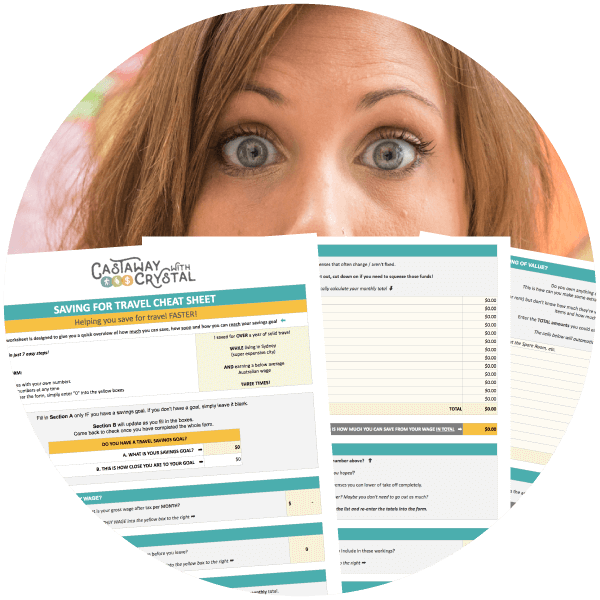 Want a FREE Personalised 7-Step Savings Plan? 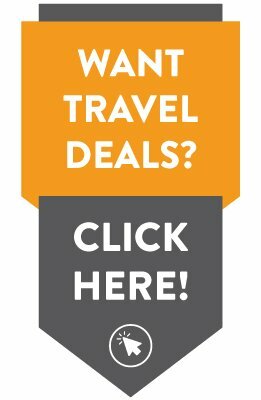 Join the Castaway Commune NOW and Kickstart Your Long Term Travel Today! 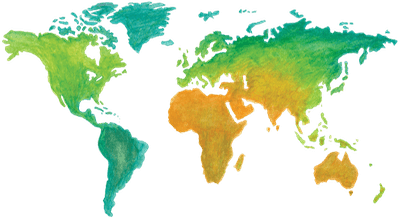 Get A FREE Personalised Savings Plan & Kickstart Your Travels TODAY! 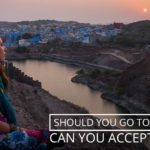 Want to save money and travel the world? Join the mailing list and we will help you quickly & easily add up what you can save and how quickly you can save it! Don't worry, you can unsubscribe at any time!